While some American parents are beginning to question the use of hitting (aka spanking) as a form of disciplining children, the use of time out is on the rise, as evidenced by the popularity of such shows as Supernanny and Nanny 911 (read about Alfie Kohn’s views on the subject in his article Atrocious Advice from Supernanny). 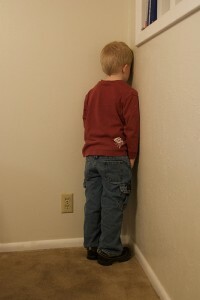 The premise behind the traditional use of time-out as a punishment is to give the child time to think about what they have done based on B.F. Skinner’s theory of operant conditioning, though Skinner himself was against the use of punishment in an attempt to control children’s behavior. While many parents believe that the use of time-out is less punitive and harmful than hitting, even being touted by many who supposedly practice gentle discipline, evidence shows otherwise. This authoritarian approach is a form of bullying. Children placed in isolated time-out do not think about what they have done. They are not spending the time cooling off, thinking about how they could better have handled the situation, or how they might rectify it. Instead, most children will go through multiple emotions – fear that they are not loved because of their behavior; anger at the situation and the person responsible for sending them to time-out or at the other person involved in the original situation; blame, anxiety or confusion if the child doesn’t understand what is going on. They learn that by bullying someone holding less power than you, you can get your own way. 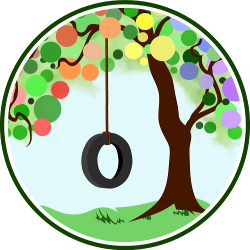 Aletha Solter has a concise article concerning The Disadvantages of Time-Out at the Aware Parenting Institute. Time-outs, besides resulting in a myriad of other problems, do not address the original issue. Children in time-out are not learning new coping or communication skills which they can use to solve problems and conflicts. They aren’t thinking about solutions for the current situation. The concept that children must feel badly about themselves in order to learn stems from beliefs that children are born evil and must be taught to be good. There is a definite need for parents to examine their own histories and philosophies before any significant change can be made in our culture. Until then, the cycle will continue. Can’t time-outs be beneficial when a child is out of control and needs time to calm down? I know sometimes I need space from a stressful situation to cool off and come back with a rational, composed mindset. Another sad lesson kids could learn in a time-out is how to be sneaky and not get caught next time. A time-out while they’re angry, hurt, or scared is a great opportunity for a child to think about revenge or better evasive tactics. As Liz above suggested, there may be certain types of “time-out” that are non-punitive, even helpful. Some people call them “time-in” because instead of banishing the misbehaving child, you spend time together…crying, calming down, talking, etc. But it’s not a punishment the way typical time-outs are used. Instead of leaving the child to sort out what they did on their own, you help them work through it. Very different! Many of us do benefit from some cooling off time once in a while. However, there is a very big difference between time to cool off and the traditional punitive time-out used by so many American parents: control. With traditional time-outs, the parent is attempting to gain control of the child by forced isolation. “Do as I say or suffer the punishment.” It’s a bullying tactic. It is punitive in every aspect. An adult going into another room by choice is doing what they need to in order to feel calm and collected – an incontrol of themself. No one is trying to control another person. We, as parents, sometimes need to help our children recognize that they may need some time away. Last week I asked my older son if he needed some time to cool off when he was agitated with a younger sibling. He replied that he did and asked if I could make certain he got some much needed space. I stepped in when I saw he was loosing his cool and brought it to his attention. He was then able to atten dto his needs, along with some help from me to meet those needs (a need for some time to himself). Sometimes younger children do benefit from some connection time with a care giver in order to help them work through their emotions and needs and center themselves, as Sylvia mentioned above. However, these are not to be confused with traditional time-outs. I am very intrigued by this topic and actually dedicated my weekly column to it over at Athens Patch this week. Although I don’t take the stance of necessarily agreeing with you, an interesting discussion has started in the comments of the story and I would be honored to have you join in and give your two cents. Many parents are curious about alternatives to time out, including myself. Here is the link if you would like to join the conversation. Oh…I just realized that you actually did grace us with your thoughts over there. It took me a moment to put two and two together. Sorry! Thanks so much for taking the time to read and comment on my story!